Work-related stress is at an all time high and progressing steadily. It has been estimated that 75-90% of patient visits to primary care practitioners are due to stress-related illness. * Stress and busy have become synonymous; while being touted as a badge of honor. We have become a society that is always connected to technology, never taking a break for fear of missing out on something (FOMO anyone?). We have businesses to build, sales to make and connections to create. Who has time to stop and relax? The ironic part is that without the rest, our best efforts are ineffectual. Stress causes fatigue, sleeplessness or over-sleeping, feelings of lethargy and depression, weight gain, headaches, muscle pain, digestive issues, low libido, increasing symptoms of PMS and menopause, irritability, poor skin and tissue health, hormone imbalance, chronic sickness, and the list goes on and on. So if a person is suffering from these symptoms and has an inability to manage stress, how effective can they be in their daily work? We simply can’t do the great work we are passionate about when we feel terrible every single day. 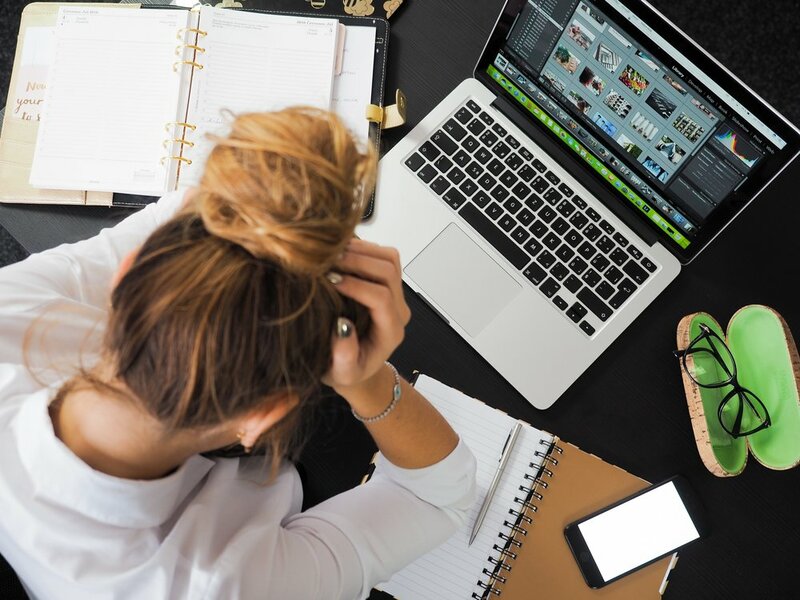 The question then becomes, how do we manage stress and prevent ourselves from burnout so that we can continue to build business and increase success? Most people that struggle with feelings of overwhelm and stress don’t necessarily have a plan of action on how they will tackle the day. We may stroll into the office and get sucked into the email matrix for hours on end, responding to email, sending email, reading more email, responding and sending a bit more. Instead of doing the deep work that moves the needle in their business, we become daily email managers. When working without a plan of action, it’s easy at the end of the day to wonder what in the world we accomplished. The best sales reps have a distinct plan each day. They know who they are talking to and the purpose of the conversation. There are outcomes from each activity that will lead to achieving goals. To manage your day, use these tips to create a plan that will have you working with purpose. Plan each quarter backwards from your goals. How much time is needed (realistically) to complete the task? Add the task with the given time to my daily schedule to make sure that I have the dedicated time per task. Focus on one task at a time (no multitasking) to maximize my attention and effort. The best work comes when the distractions are minimal. As a first-born, I have held onto my responsibilities in a very serious way. Because let’s be honest, nobody can do things the way I can do them. I take pride in my work, I am very detailed and thorough. It just never occurred to me that someone else could help ease my burden. At the same time, I have felt resentful that I am doing all of the work. While in college, being assigned to a group was a nightmare for me. I loved being in charge and I took on way too much because I couldn’t leave my grade in the hands of a stranger. Then I would be stressed out because I had so much to do. Change the scenario to marriage & family. I relish the systems I have in place and border insanity if someone in my family veers off from the way I do things. I want my kids to put the clean sheets on their beds; yet, when the bed covers aren’t as taught as I like them, I have to fight the urge to re-make the bed! Friends, if you are nodding your head right now in understanding, here is some sage advice. STOP IT. Seriously, save yourself from unnecessary anguish. There are people who love you and want to see you succeed; they want to help you in any way they can. Let them help and feel the burden of your tasks lighten. Pass things on which don’t require you personally to be accomplished-these are things that aren’t necessarily your strengths and can be better handled by someone else. Write in a gratitude journal each day, highlight things from your day that you are thankful for or which brought you joy. Grasping these five points will give you stronger business acumen and push burnout to the outer edges. Let’s take charge of our success by managing our stress and letting go of the standards that society says we must have in order to gain success. If you want to take your business to the next level, then you need to join the waitlist for my program Revitalized Wellness. I give you the roadmap to avoid burnout, increase energy, feel revitalized and increase your productivity. Join the waitlist here.